Back on the golf course after three weeks away as a tour guide. First nine was so bad that I replayed them instead of following the crowds on the back nine. And played much better second time around…including a rare birdie on the 1st. Too many Korean tour groups on the course. The club seems to forget about its members in the wish to make money. But it is the members that will keep the course going in the slow season. The airline will introduce a new non-stop service between Newark Liberty International Airport (EWR) and Dubai from 1 June 2018, adding to its existing daily flight which operates with a stop in Athens, Greece. The new non-stop service will be operated with an Emirates Boeing 777-300ER. Flight EK223 will depart Dubai at 0300am and arrive in Newark at 0900am. The return flight EK224 departs Newark at 1150am, arriving in Dubai at 0820am the next day. This new timing is in addition to the existing Emirates service (which operates via Athens), as it provides travellers with a new option of a morning arrival in Newark, and a morning departure. But from 25 March, Emirates will stop operating flight EK207/208, thereby reducing its services between Dubai and New York JFK to three daily flights. From JFK, Emirates will retain two non-stop flights a day to Dubai, and one flight a day via Milan, Italy. In addition, from 25 March, Emirates will add two flights a week each to Fort Lauderdale (FLL), and Orlando (MCO), returning to daily services at both airports and reflecting the steady rebound in customer demand. Oops. Alex arrived for a week on the 3rd – overlapping by one day with my sister, Vanessa, and her daughter. It has been family time this month. Unusual for me! Alex was in great form – I learned a lot about CRISPR. More on that another time. We had a fun two day trip to Pai on 7/8 January. The road to get there is still hazardous. And Alex has taken up archery – at a competitive level. Impressive. This was the day that the US President described a number of other nations as “shitholes.” Publicly or privately, as President you do not do that. Lots of upset people watching a rather embarrassing light show at the Burj Khalifa last night. No fireworks. 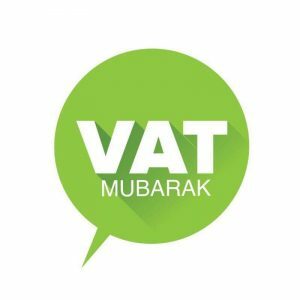 And today in the UAE is VAT day – 5% – enjoy!